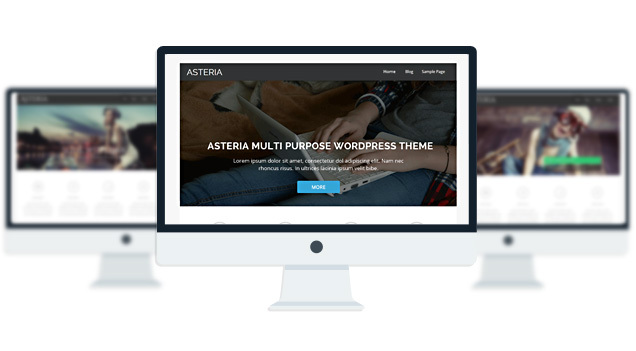 Asteria Lite is a clean responsive theme with a beautiful slider, Narrow and Wide Layout Option, 10 Social Icons and 3 page templates - Full width page, Left sidebar page and a Blog page Template. The theme also allows you to design your site logo with 600+ fonts. The Theme also has a Maintenance Mode feature, Custom CSS feature, Import/Export and is fully compatible with Woocommerce and Contact Form 7 Plugin. It also comes with Ajax pagination feature which means you can navigate through posts without page refresh. The theme is SEO Friendly and has plenty of user-friendly options. The theme is translation ready and fully translated into French, Italian, German, Spanish, and Chinese. Asteria Lite is suitable for any types of website - corporate, portfolio, business, blog. IE7/ IE8 Browser Upgrade Alert! dou you sell on themeforest ?